Many Safari users will be familiar with tabs, a way to have multiple webpages open within a single browser window, but Safari is not the only application to offer this handy organization option. AppleInsider tells you how to start using tabs away from the browser, to help reduce the number of windows on the Mac desktop. Providing children and others access to your Mac can be an issue if left unmonitored, as giving free reign could cause the younger users to see inappropriate material or perform unwanted actions that could drastically affect the Mac's performance. AppleInsider explains how to use the Parental Controls already built into macOS to limit what can be done on accounts. Apple's recent macOS 10.13.4 update is causing some havoc among people using screen extenders like Duet Display and Air Display, as well as USB DisplayLink-connected monitors. 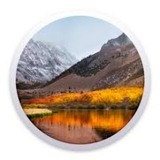 Following the release of macOS High Sierra 10.13.4 on Friday, Apple has restarted the operating system testing cycle once again, issuing its first beta of macOS 10.13.5 to developers enrolled in Apple's testing program on Tuesday. AirPlay 2 will bring new enhancements to streaming audio on the HomePod, Apple TV, iOS devices, and third-party speakers. We went hands-on to see how it works. AirDrop is one of the quickest and easiest ways to transfer files between macOS and iOS devices, but performing a small change in macOS can make it even simpler to start using straight away. AppleInsider shows how to add this handy file-sharing tool to your Mac's dock, ready to initiate transfers at a moment's notice. Apple today updated macOS to version 10.13.4, bringing new features like Business Chat in Messages and support for external GPU (eGPU) enclosures to Mac users. In situations where a visitor wants to use your Mac for a task, providing them access via your personal account may be an unwise move, especially if it isn't someone you completely trust. AppleInsider explains how to set up a guest account in macOS that provides access without endangering your personal data. After four months of only being available to iMac Pro owners, the Magic Keyboard with Numeric Keypad, Magic Mouse 2, Magic Trackpad 2 are available to all. Exactly one week after issuing its last macOS High Sierra 10.13.4 beta to developers, Apple on Monday released a seventh version of the evaluation software for testing. Photographers will be familiar with the editing tools offered by Photos in macOS, but sometimes the available selection just isn't enough. AppleInsider shows how to add more options to the editing roster, by taking advantage of extensions offered by other image editing applications. Another report notes that Apple's education-themed event in Chicago next week will reportedly feature a new version of its "budget" iPad, as well as new classroom software.